Victoria's Great Ocean Road, Australia. Every school holidays, the same problem emerges… where do we take the kids? With fights skyrocketing, and your busy life getting in the way of proper planning, you’re forced to look at last minute options for your family break… but as we’ve learned – these are actually the best kind. 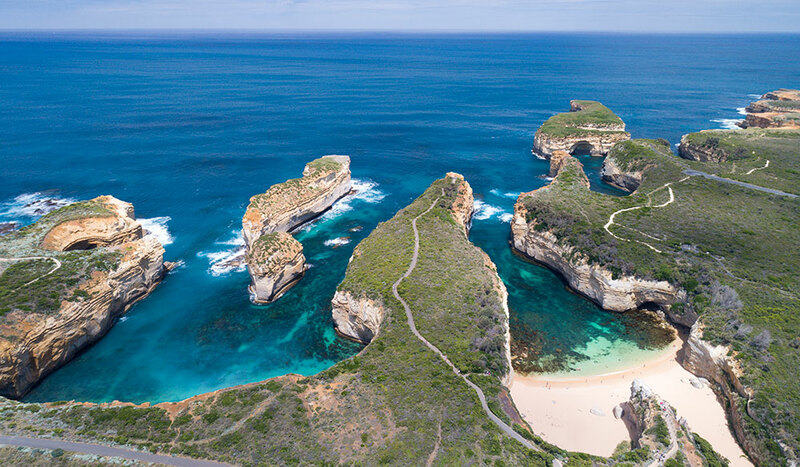 Australia is buzzing with last-minute deals and undiscovered destinations that don’t cost an arm and a leg, all you need to do is decide whether you’re after a road-trip, a camping holiday, or even a ‘stay-cation’ in your own city to explore like tourists! Here are the best last-minute family holidays around Australia, as seen on the TODAY Show. 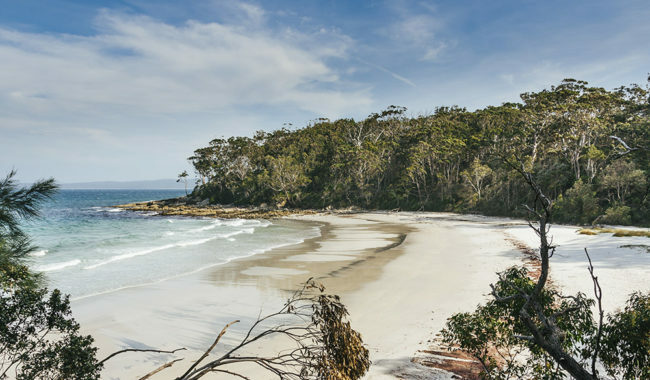 The drive will take you just over three hours, and once you arrive, you can explore the Jervis Bay Marine Park and hang out with bottlenose dolphins, seals and penguins. Snorkel in Murrays Beach and camp out in one of the beachside campgrounds at Cave Beach. The Holiday Inn Old Sydney features a rooftop pool, views of the harbour and is a stone’s throw from Circular Quay, meaning yu can catch a ferry to Manly with ease, head over the bridge to Luna Park, or take advantage of their discounted family package, which includes a cruise to Taronga Zoo. Cost: from $239 per night. Discovery Parks Warrnambool is so popular tourists can’t get in in the summer time because the locals move down, so now is the time to strike. Mini golf, paddle boats and swimming pools are all close by, with the beach just across the road. Cost: from $99 per night for a family of four in a cabin, or you can drive down and park your own caravan. Powered sites start at $300 for a week. If camping isn’t your thing, we suggest staying up the road at the Best Western Olde Maritime Motor Inn. Comfortable, homely, inexpensive and great for families! The Novotel in St Kilda is offering $25 each night of your stay and $1 breakfast. The hotel is very close to Luna Park, has a heated pool and a kids menu throughout the hotel. Cost: from $511 for a family of four, including breakfast. Valid for stays until 11 November, 2018. The drive will take you just over an hour and a half from Brisbane, or you can fly into the Sunshine Coast airport. With a mini water park, jumping pillow, playground and mini golf, the Oaks Caloundra is a great option for families. Just a one hour drive from Brisbane, stunning Mount French Lodge is specifically for groups 12-years+. Cost: Stay 3, pay 2 nights. $1,100. Cooked breakfast daily and full use of facilities including pool. Stay and relax in the evening and head out to explore the Scenic Rim by day. For the misty mountain lover: Cradle Mountain, Tasmania. 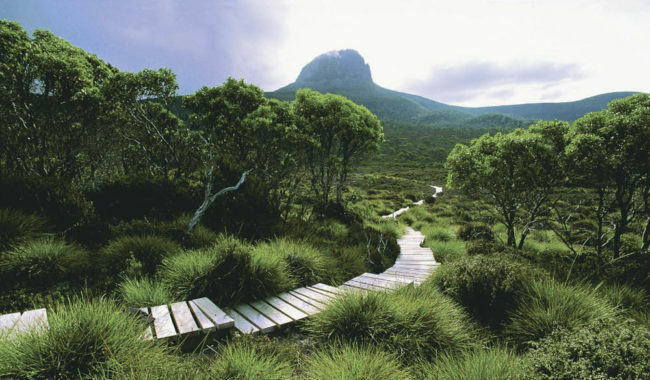 At Discovery Parks Cradle Mountain, the whole family can take part in horseback riding, canoe adventure groups, and visit the Tasmanian Devil sanctuary. Just 15 minutes from Launceston’s city centre and 2.5 hours road trip from Hobart. The Cataract Gorge scenic chairlift covers 457 metres and allows you to take in the huge natural basin. When summer draws near, it’s the perfect place to dip your toes in the swimming pool and adventure around, trying to spot some Tasmanian wildlife. Camp nearby or shack up in one of the family friendly hotel in Launceston. The pink lake phenomenon in South Australia. 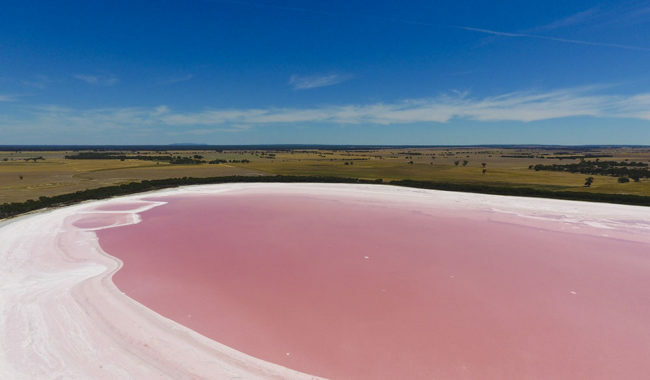 If you’re a road-trip family, take the kids the 1.5 hour drive to Lake Bumbunga in the Clare Valley to see the bright pink lakes. A salt-loving algae turns the water a bright pink colour and if you wear shoes you can walk out into the water. Clare Valley wineries are only 40 minutes away, very handy for mum and dad! CAMPING: Head to Lake Bonney with the kids – and the dog! The Lake Bonney riverland is only 2 hours 45 minutes from Adelaide, and has a beautiful freshwater lake for swimming. Roll up in your own caravan and park in one of the blocks, none of which are too far from the amenities. This spot is also dog friendly, so bring Fido! Great for fishing, water sports and relaxation. Cost: a powered site will cost you around $233 for four nights. The drive to Misty Valley Country Cottages will take just under five hours from Perth, but will be well worth it to see the kids mingling with farm animals, milking a jersey cow, taking a pony ride and looking for eggs among the chickens. All linen is provided, as is a cosy wood fire (should you need it), TV, washing machine and your private BBQ. The farm is just 15 minutes to beautiful beaches and the town centre. Cost: same rate year round! $180 per night for a self-contained 2 or 3 bedroom chalet. Just a short 2-hour drive from Perth, Jurien Bay features a caravan park that backs right onto the beach and has easy access to a kid’s playground, beachside café and the jetty. Bring your fishing rod to catch you and family some dinner, in the form of herring, tailor and squid. 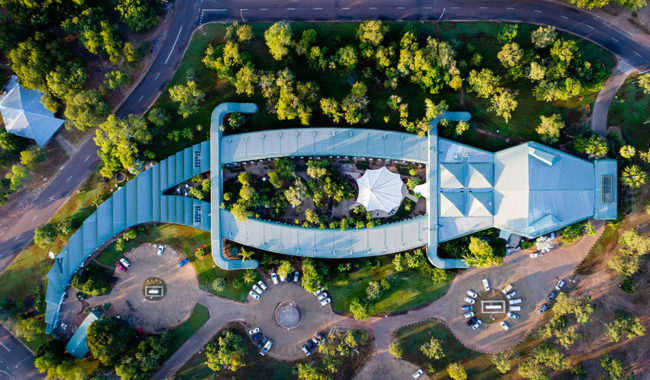 Take the 2 hour 45 minute drive from Darwin to Kakadu and you’ll arrive at the Mercure hotel, shaped like a crocodile. From there, the family can take part in birdwatching, croc spotting, fishing, rock art, exploring waterfalls and ranger guided activities. Cost: 5 nights for a family of 4 midweek comes in at $1,230. Only 15km from Uluru, you and the family can stay in air conditioned cabins or bring your own caravan to one of the powered sites at Ayers Rock Campground. Otherwise, you could just pitch your own tent! There you’ll find a swimming pool, playground, BBQ facilities, kitchen and self-service laundry. Here, you’re also able to take part in free daily activities such as garden walks and Indigenous bush yarns. Cost: $52 per night for a powered site, and $184 for a campground cabin. The Crowne Plaza Canberra offer includes two night’s accommodation and full buffet breakfast for two adults and up to two children. Children under 12 dine free at Redsalt Restaurant and you’ll also receive a family pass to Questacon. Cost: from $315 per night for a family of four. A Wild Night Out at Tidbinbilla is a special family sleepover in Canberra’s premier wildlife sanctuary. The whole family can stay in glamping accommodation at the Wildfest Pop Up Wilderness Family Camp in the park. You’ll explore the nature reserve with specially designed ranger guided activities and learn all about the wildlife and the Ngunnawal people. Cost: $195 per night for kids, $295 per night for adults. Includes BBQ dinner, breakfast, all activities and overnight glamping accommodation.